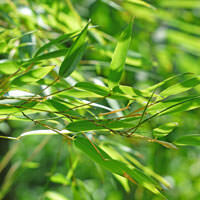 NATIVE EXTRACTS’ innovation in CELLULAR EXTRACTION uses Biomimicry to deliver the first ‘True to Nature’ Bamboo extract, setting new standards in a water soluble extract of this popular botanical by delivering a wider range of phyto-active compounds and greater concentrations than previously known or recorded. This common plant emerges as one of the latest exciting skincare ingredients making it a hero free radical scavenger, packed with a huge range of extraordinary phyto-compounds that are considered to offer new potential for wound healing, skin conditioning and inflammation. Discover the new possibilities for natural solutions with the advances in Cellular Extraction.